With a train booked for 18h50 from Calais, I had decided that it would be quite possible to squeeze in a pair of tastings on the last morning of our stay and what tastings they were: Bonneau de Martray and the Domaine Guy Amiot in Chassagne, the former one of the true aristocrats of Burgundy (both in terms of the owner - Jean-Charles le Bault de la Morinière - and the vineyard holdings, which are 100% grand cru), the latter one of the most consistent producers of profound, high-quality white wine that is also (perhaps more remarkably) excellent value for money. M. de la Morinière is the consummate gentleman. He is extremely welcoming when one visits the cellar of Bonneau de Martray in Pernand-Vergelesses, that sleepy village wedged into the narrow valley behind the hill of Corton. And he will tell you everything you want to know about the vintage and his wine of which he is so proud, the information delivered in a near-perfect upper-class English accent with just hint of a French nuance. 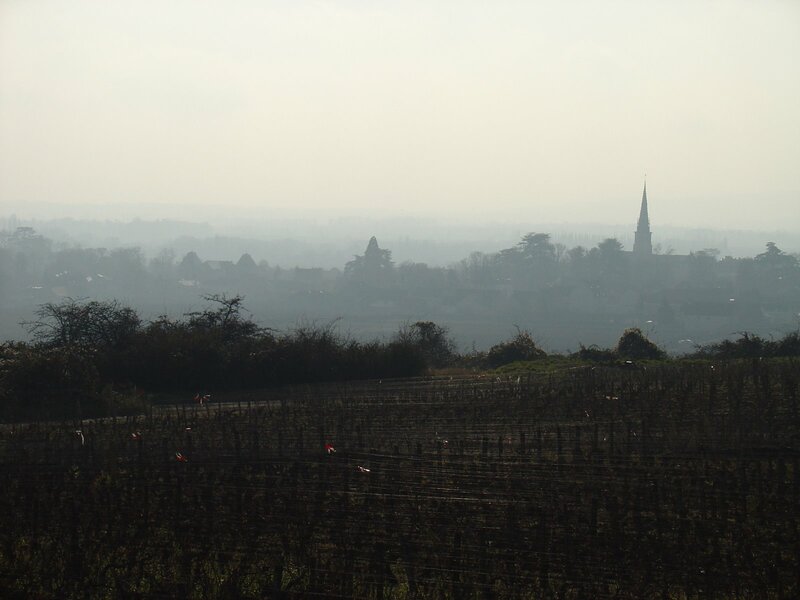 The name of the domaine is taken from Jean-Charles's mother's uncle who bequeathed her the vineyards in 1969. And what vineyards! There are 2 hectares of red Corton, making a wine that now ranks "up there" with pretty much anything else emanating from the appellation. But the real show stopper of the inheritance was and is the 11 hectares of grand cru white Corton-Charlemagne from some of the best sites on that sphinx-like hill that rises behind the town of Aloxe. The 2006s here are superb, the red revealing a structured purity; a touch of austerity at present that hints at a long life ahead. The white is already quite delicious up front, but the longer one concentrates on the palate, the more one sees the complexity and sheer density of this wine's beautiful form. The 2004 tasted afterwards was perhaps finer, more classically built, but the '06 is, and will continue to be, utterly beguiling. We have a small allocation. Thierry Amiot's a laid-back sort of a chap. I would guess that he's in his early thirties, which makes his skill as a wine maker all the more remarkable. As at Jean Chauvenet in Nuits, a visit to Amiot is a chance to have a really thorough look at the appellation in the vintage as one is presented with a string of expressive premiers crus. The wines here this year conform to a style that is wide-spread in the whites of this vintage. There is real sun in the tasting glass: rich, ripe fruit, with aromas and flavours that sometimes stray into the peachy, even tropical. By and large, Amiot's '06s are vins de plaisir and will give great pleasure in the short to medium term. As ever, with the two senior premiers crus one finds a slightly different story; both Vergers and Caillerets have produced cooler, more focussed and age-worthy wines, both fabulous. I will be attempting to secure supplies of both…oh, and the Aligoté which, from 80-year-old vines, is once again superb. So, the picture of the 2006 vintage overall is not totally clear cut. There is a diversity of style that appears to have hinged on a decision as to when to bring in the harvest. Yes, some of the reds and whites are low-ish in acidity, with rich fruit that sometimes edges towards jamminess. But there are plenty of others, especially in the reds, that are highly structured, extremely pure and very beautiful and it is, of course, on these that we will be concentrating when making selections for our offer. Yes, it is quite clear that 2005 was a great vintage for Burgundy. But what is also clear is that 2006 has followed it up more than admirably. My guess is that, in the years to come, there will be plenty of pinot-philes who, having bought cannily, secretly (or even not-so-secretly) prefer the style of the 2006 vintage. Tastings done, we high-tailed it north. The drive to Calais, with one stop, was accomplished in 5-and-a-half hours and was rather easier than the 3-and-a-half hour onward journey from Folkestone to Wiltshire, the motorways bombarded by monsoon-like rains. 575 miles under the belt, Beaune to home!